Welcome to the site of the Houweling Telecommuseum. A visit to the Houweling Telecommuseum. Okay, honestly, if you’re standing in front of this museum, you’re not immediately excited. A more functional than beautiful industrial building from 1923 enclosed between residential blocks and some other utilities. But shame is cheating. The building was built as a telephone exchange for Rotterdam North at the time and still exists today. However, since the digitization, the modern telephone exchange is not much to admire. This is located on the top floor. Extracted to the eyes of the visitor. However, the rest of the building is a real step back in time. Here are some enthusiastic volunteers with a lot of passion busy keeping the history of the phonebook visible, audible and polite for the offspring. Most of them have been working in this sector throughout their lives, which means that the old mechanical plants have just been doing. So, you really see what was going on, if you did not even call me a long time ago, calling you to literally turn the song. For the grown up among us, it’s a piece of nostalgia, but the technique behind it will surprise everyone. And no, it is not behind glass, and you are expertly guided by one of the volunteers. 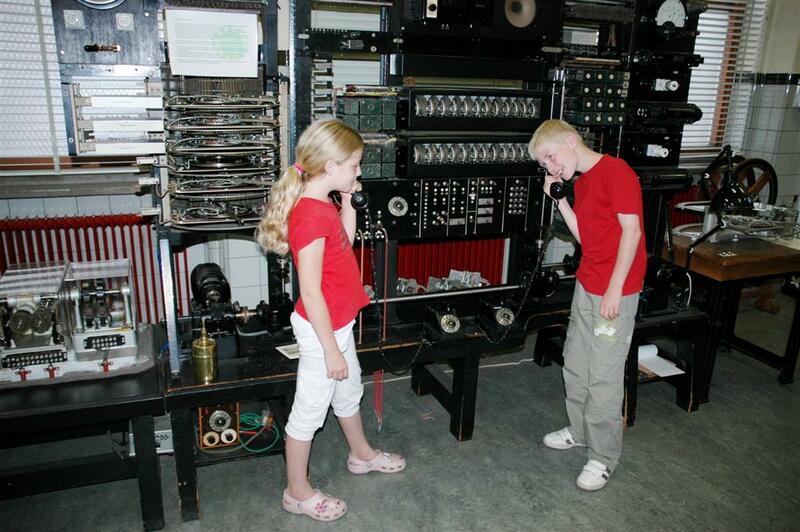 In short, a fun and educational excursion for young and old and therefore the Houweling Telecommuseum is the only real telephone museum in the Netherlands. We show the full history of Rotterdam’s telephony from 1880 to the present and we have many working antique telephone exchanges. The aim is to show the equipment and nothing behind glass. Also for children up to 14 years, there is a lot to see and can be called out and read out. The museum is located in the North Central telephone exchange, built in 1923 under the architecture of the Amsterdam School and commissioned by the municipality of Rotterdam. You will find us in Vlaggemanstraat 15 Rotterdam. Newly added on our site is the visit of the digital news site www.denieuwspeper.nl For more information see the Museum, or click here. We rent equipment for movies, documentaries, photo sessions or exhibitions.